Search engine optimization isn’t all that difficult, the hardest part is understanding all of the variables that go into it. There are just so many things to consider. I initially wrote this post on the SEO impact of subdomains vs subdirectories in Feb. of 2014. A lot can change in the SEO world in just over a year, so I thought it was time to revisit things to see how the results of this case study compared to things in mid-2015. Take a look at the original case study below. At the end of this post, you’ll have the opportunity to read my revised case study: SEO subdomains vs subdirectories (the results may surprise you). There is much debate on when to use subdomains vs subdirectories for SEO (Search Engine Optimization). There are some people that will swear the choice isn’t about SEO, but should be more about your business situation. I agree your business needs should drive the use of subdomains on your site, but I’ll also debate that SEO should also factor into this decision. 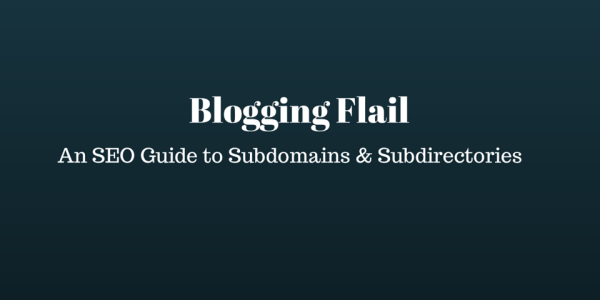 Here’s the fact, if you set up your blog as a subdomain instead of a subdirectory, the ranking of your blog will suffer. I’ll prove that below in my case study. asubdomain is the subdomain of the site, asitename is the domain, and afolder is the subdirectory (also known as a folder). Your site may sell a product or offer a service, but you want a presence in multiple languages. A subdomain could be established for each language you are targeting. Franchises may all focus on the same products, but will have unique content that needs to be called out for each franchisee (owner information, address, phone, specials, etc…). In this case a subdomain would be set up for each franchise store. Differing products for your company. Perhaps your company wants to focus marketing efforts for some of the various products they sell, in this case a subdomain may be a better approach to targeting traffic to each unique product. These are just a few reasons and by no means are hard and fast rules. Your business situation should determine when you want to establish a subdomain. Just keep in mind, you are starting off from scratch in terms of SEO every time you create a new subdomain for your site. 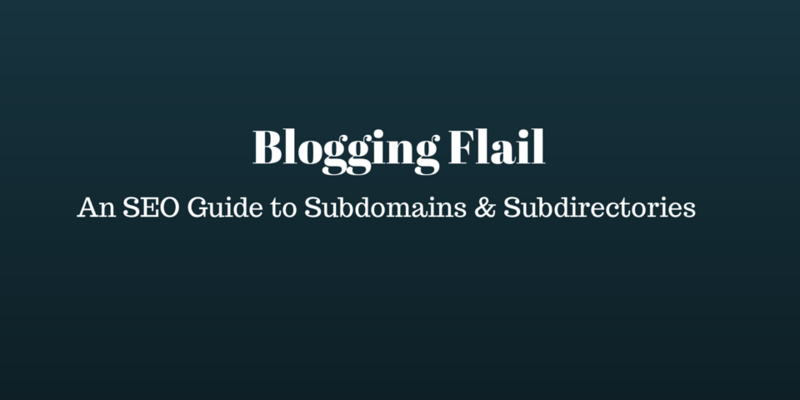 Let’s get to the meat of this article, looking at subdomains vs subdirectories. The following situation is fact, the site is real, and the search engine ranking is true. I’ve developed this case study to prove there is a difference in search engine ranking when using a subdirectory. Quite simply I wasn’t ranking, for anything, anywhere. Not in Google, Bing, Yahoo, or even Google’s Blog search. Now before everyone starts saying you need to understand SEO concepts, I’ll tell you I do. I may not be an SEO Consultant or Search Engine expert, but I get it. I’ve maintained multiple blogs over the past few years, and have had my fair share of keywords that have ranked in the top 3 of Google’s search results, as well as keywords that have ranked number 1 in the SERP’s.. In my particular case, I had a site that I developed for a little side project that I was working on for myself. The site I’m referencing is a Career Network that I created called Vircara, and the intent is to bring students and professionals together to help students define a career choice. Great idea if you are a professional and want to mentor students. 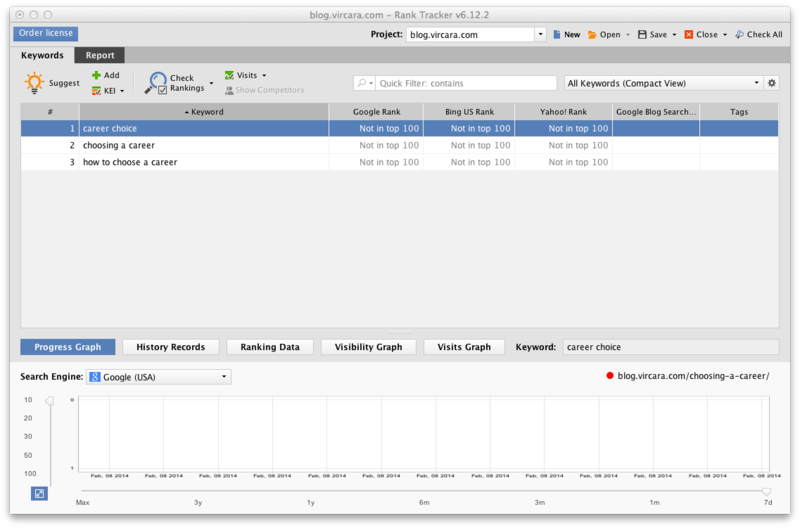 I wanted a means to drive traffic to my main site, so I thought what better way to do that then establish a blog and focus on keywords that I was interested in targeting. As I wanted to separate my blog from my main site, I set up the blog using WordPress as a subdomain on my site (blog.vircara.com). To help everyone understand a little more on this site, here are the facts so you can understand how this fits into the SEO analysis. Backlinks were built over time to both the subdomain, other articles on the site, and the post I was trying to rank for using reputable SEO practices. These backlinks consisted of both no-follow and do-follow links. I focused my backlink strategy to the subdomain (and related posts), however there were a few backlinks that I had also built to the main domain. I was using a WordPress Theme that is targeted for SEO, something that I verified. In fact, I tried a number of different themes before settling on my current theme to see if that would make any difference. The primary key word I was targeting was “choosing a career”. While this keyword does have some competition, it’s not so popular where I shouldn’t be able to rank at least in the top 100. To frustrate me even more, I couldn’t even rank in the top 100 in Google’s Blog search tool. My blog name wasn’t even showing up in the Blog Search, which told me Google didn’t even recognize it as a blog. Any incoming links to my subdomain would now point to the new instance of my WordPress blog in the subdirectory. After verifying that all of my redirects were working, I waited. I gave it two weeks to ensure Google had a chance to index my new content, or at least attempt to crawl the old content so it could encounter my 301 redirect to the new content. After two long weeks of waiting, and verifying that my new content was indeed indexed, I ran my tool once again to see where I ended up in the search rankings. And the result is – position 57 in the Google SERP’s. I went from somewhere out of the top 100, and I know for a fact I wasn’t even in the top 200, to being number 57 in the SERP’s simply by changing from a subdomain to a subdirectory. Everything else related to my site remained constant. Pretty clear evidence, at least in my simple mind, that putting your blog in a subdirectory has a significant impact on SEO over having it in a subdomain. I would be very interested in hearing everyone thoughts on this matter, and would love to know what experiences you’ve had with subdomains vs subdirectories. Note: This post is part of a broader topic on things to be aware of when starting a new blog. If you’re looking for more information on improving the SEO of your site, you may want to speed your site up by using a CDN with Amazon CloudFront and W3 Total Cache. As I mentioned in the opening of this post, I decided to do another test on the SEO impacts of using a subdomain vs a subdirectory. 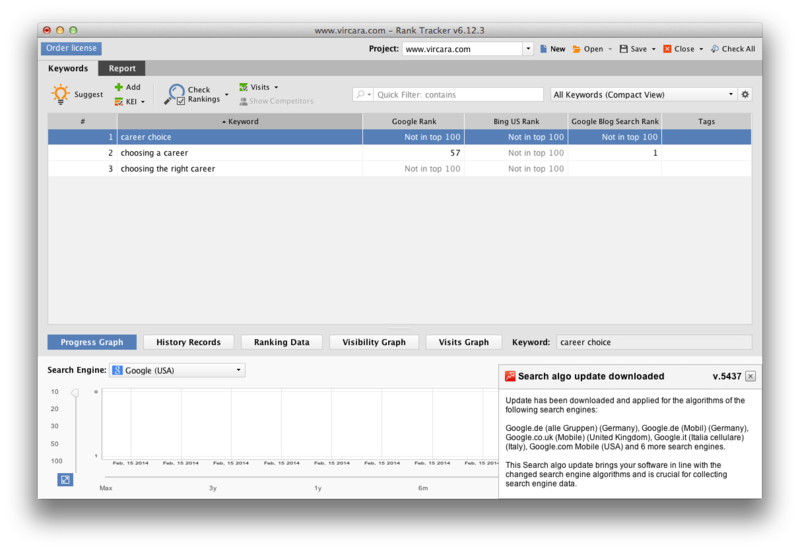 You can download that case study right here – SEO Subdomains vs Subdirectories. I like your case study. Why do you think simply changing your blog over to a subdirectory had this impact? Great question. Google treats a subdomain as a unique site, so you are basically starting over when it comes to SEO. Since my www domain was perviously established, even though I didn’t have a ton of backlinks, I believe Google treated that more highly than my subdomain. Thanks for the comment. Thanks for commenting Devin. Yes, my test was done earlier in 2014. Regardless of the Cutts video, I stick by my results. I’m having issues accessing the Moz site right now, but I’ll have to check out this article (not sure if it’s the same one I’ve read previously). Hey Craig Nice article with all information i want but i am still confused with my case. i want to make a coupon website which entertain 5-10 countries so what is best strategy to differentiate countries websites. i will use wordpress multisite for this. You’ll probably want to look into using sub-domains for the different countries, assuming each will be in a unique language. Craig: Out of curiosity, where did http://www.vicara rank on those terms before the move? You show the rank of blog. before and www. after, but don’t show where the established site ranked before relocating the content. Not sure I understand the question Steve. Are you asking where the root domain ranked? That wasn’t really ranking for my keyword of the post that I was measuring if that’s what you mean. Hi Craig, what would have happened if you had created the Blog (as a subdomain) at the same time as you created the website? And how would that have made a difference if you had created the Blog (as a subfolder) at the same time as your website? Good question that I don’t have a definitive answer for. My assumption is, there wouldn’t be a whole lot of difference. I have one problem with your case study, you showed us the ranking for the subdomain before changing it to subdirectory but you didnt show us the ranking of the domain before the change and your ranking after change could be already there. Does it make sense? That’s because the blog didn’t exist at the root domain, only the subdomain. It would have been impossible for me to rank for that keyword at the domain as it never existed there until after the move. That’s a very good article but what about making subdomains for different niches of an advertisement website? For example let’s take Groupon. Let’s say I do food.groupon.extension .. and another one with travel.groupon.. and I put from the root some links to the subdomains and back to root. This will not strenghten the main domain name? I think having links from subdomains to root and back on all of them will push every subdomain higher in Google. Also this must have to do with the actual SEO you will do on that articles / websites so it will rise itself. p.s. sorry for bad english, not a native speaker. You’re correct Valentin, linking your main domain to the subdomains will strengthen the subdomain, but the point is Google treats each subdomain separately. What a cool case study! Awesome! I’ve been simplifying my business and actually getting rid of unnecessary sites/arms of my business. With my membership site, instead of going a brand new domain, I simply added “membership” to CarolAmato.com. So the XenForo software installation occurrs on http://www.carolamato.com/membership (to buy) and http://www.carolamato.com/members (to log in). Better for branding, user experience, and as you so very well pointed out, for SEO purposes as well. If I’m going to have an Authority Blog, why create a new little side site for every project? Makes no sense, unless in a completely different niche, which I’m avoiding at this time. Been there, done that. Thanks Carol – I’ve always liked case studies and enjoy playing around with SEO, so I thought this was a good topic for a test. You nailed it with your membership site, and are spot on with your comment. Thank you for the comment, always appreciate your insight into things! You have a wonderful week ahead Carol. Hi, Craig, this is an interesting case study. I did wonder if there would be much of a difference but this shows it in action. It makes sense when you read your explanation. I have to think how this applies to me. I’m planning to create a few niche sites. I was just assuming that new domains wouild be the way to go but I can see that if they’re close to my main topic then a sub-directory might be a good idea. Thanks for the comment Donald. Definitely something to think about if you were planning a new site. If you think about it, it totally makes sense to go the sub-folder route. As you said, something to mull over. Nice experience informative article you wrote ,, i was searching something like that about sub extra folders for putting extra data or web pages in your running website should effect SEO? Will a sub directory for each county be the way to go? Google will not penalize is important point to learn. As their is more probability of content sharing between the root domain and subdomain. Thanks Bloggingflail, to point out this. I’ve created a lot of subdomains over the years and I couldn’t agree more with your case study. It’s true, non of the subdomains I’ve created had any impact on SEO whatsoever. When I tried to create a subdirectory blog on WordPress, Google was able to index my site faster and I even hit a few search results as number one result. So I think your case study it’s still good for people who care about their SEO. I personally prefer subdirectories. There are many benefits of subdirectories as compare to subdomains. I already implemented subdirectories. The result is positive. What about if let say you web products / plugins online. I use subdirectories or regular slugs for marketing pages where customers can buy the products. However I use a subdomain using the same slug where I show a demo of the product. Is this bad in terms of SEO ? 1. Stand Alone WordPress Or Multi WordPress? 2. Subdomains or Subdirectories ? 3. Which Plugin for Languages ? Hi bro, Love your case study and thanks a lot for sharing it. I have a doubt, Suppose I have a php website and in a directory, I am installing wordpress and kept blogging. Will it help in better SEO for the website?. You and 100’s of others have doubts. This post has been discussed in a number of SEO forums and has received considerable debate. Regardless of that, I stand by what I saw in the results when I did this years ago. If I understand your question correctly, you’ll have WordPress installed and a standalone Website created in a separate directory. Any links pointing to either instance should help the other, as they are both on the same sub domain. I was in a confusion and now cleared. I am also planning to move from sub-domain to sub-directory. Thanks for the case-study. This is the answer for my questions. I am thinking of moving my subdomain to subfolder. This is no longer true – in fact having a subdomain not only eases deployment (particularly functional components across multiple clouds/hosting environments) it also assists with SEO ranking and cross promotion once a baseline indexing level has been achieved. It does require some thought to cross linking/promotion across domains but the cumulative ranking impact over time is greater than sub-directory – our site moved from sub-directory to sub-domain and all things remaining equal we are now ranking higher than 6 months earlier without having materially changed anything else. Using a subdomain has a lot of benefits over a sub directory such as separate deployment and better branding. You wouldn’t get the existing SEO ranking of your main domain though. It’s a trade-off yet will definitely yield better results in the long run.